I initially met Julien Barrot at Vinisud 2014. I came away with a good impression of this young winemaker as well as a bottle sample that was enjoyed with writer and sommelier friends here in Catalonia. In September I was finally able to get away and make a trip up to Châteauneuf-du-Pape to visit a number of these cellars including Domaine la Barroche. Being of a mind that the beginning of September would be incredibly tranquil given that we start harvest in Catalonia at the end of September I didn’t realize that most in Châteauneuf harvest several weeks earlier–yes red harvest in the middle of September. So when I called it happened that Julien and the family were out in the vineyard doing the last work to be done before harvest and his sister Laetitia showed me around the cellar. As a side note, I’ve generally found that despite the French reputation for snottiness in Anglophone spheres, French winemakers are some of the most accommodating that I’ve found anywhere in the world. 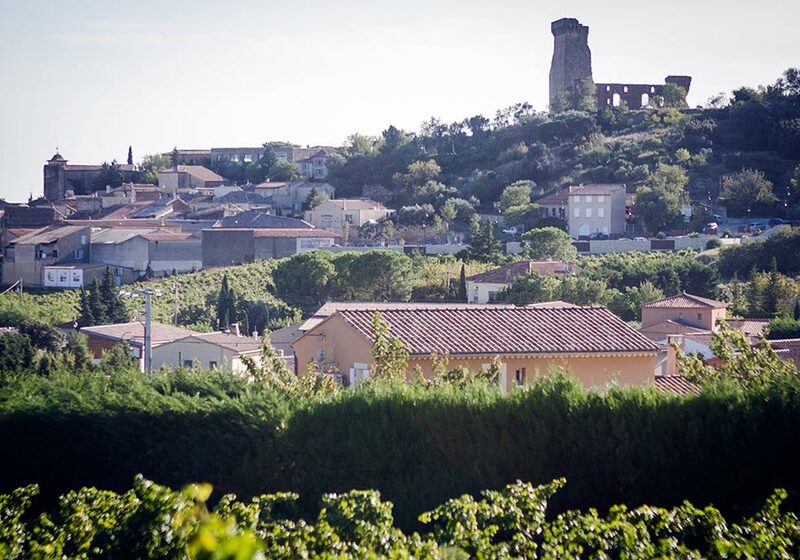 The Barrot family has been in Châteauneuf since the 14th century and has been making wine for a long time but it was mostly in bulk and sold to a negociant. You can see the “bulkness” of it as the old family cellar from 1930 and is a large, rustic affair that sits under the family home. It happens to all be gravity fed which makes entering and exiting interesting like you’re a grape in a maze. They’re currently building a new cellar which I assume is mainly due to Julien’s taking over the cellar in 2002 and starting to bottle the wines under the AOC and now reaching a point where the he needs to update his production facilities. In total, they produce around 28,000 bottles in a typical year and this is sourced from about 14ha of organically farmed vineyards that average around 65 years with a mix of grapes such as Châteauneuf stalwart Grenache along with Mourvèdre, Syrah, Clairette, Cinsault, and a little Vaccarese/Brun Argenté. This in and of itself is similar to many estates in the area but what I think really attracts me to Julien’s wines is that he doesn’t have an extreme maceration period (usually about 28 days) and he makes use of used barrels to downplay the aging notes that can easily get out of hand when you’re dealing with grapes as potent as those found around the Rhône. The cellar was kind enough to have send me a little video of this vines just before the harvest this year which is the best note to close with. Red fruits and mature cherries to the nose while being wide across the palate with a good grip of acidity that trails through the finish. Should be given an hour to decant after opening to fully express. They sadly stopped making this label in 2007 but it has a rich blend of menthol and licorice notes in the nose with a wonderfully balanced, clean body. It maintains freshness while still having plenty of backbone and this is after 10 years of aging. A red fruit comfit in the nose with herbal notes of rosemary and sage. Full in the body it presents dry notes of figs and downplayed minerality with a super clean, perfectly lingering finish.